One person can help prevent suicide through early recognition and treatment of depression and other psychiatric illnesses. Most depressed people are not suicidal; most suicidal people are depressed. 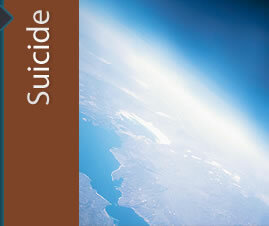 Most suicides can be prevented. While some suicides occur without any outward warning, most people who are suicidal do give warnings. Prevent the suicide of loved ones by learning to recognize the signs of someone at risk, taking those signs seriously, and knowing how to respond to them.